Apple will host a special media event on Wednesday Sept. 9 (09/09/09) and there will be new iPods but no Apple tablet, according to John Paczkowski of All Things Digital. Citing “sources close to the company,” Paczkowski says the event will be held in San Francisco — probably at Yerba Buena Center for the Arts, a smaller venue which Apple has used before. 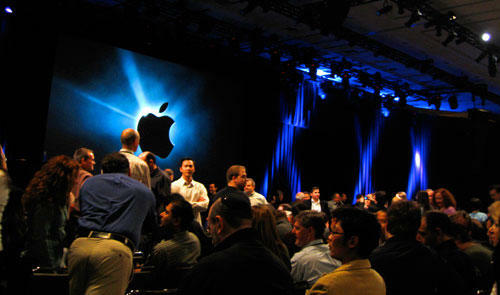 Another All Things Digital report last week said Apple was was planning a media event for sometime during the week of September 7th, while the conventional wisdom is now that Apple will not introduce a tablet this year. Apple usually holds its media events on a Tuesday (which gives the press and VIPs a work day for travel), but Monday that week is Labor day.